Andres was simply the best. He fit us in last minute, catered the tour perfectly to our interests, and packed our time with as much information and locations as possible. He is also a front of information about the culture and history of Medellin. Would definitely recommend him to every friend visiting Medellin. TOUR GUIDE RESPONSE: Thanks for the nice words and for the suggestions. All the best! The countryside surrounding Medellin is beautiful and Andres provided many insights into the culture and history of Colombia during our two hour journey to Guatape. Climbing the rock is optional but worth it though it can get crowded and one needs to be careful navigating the steps both up and down. The view from the top is spectacular. Make sure to stop for pan de yuca during the journey as Andres knows the best location to get that treat - just calling it a cheesy bread doesn't do it justice. Excellent. We had 4 passengers and had a 9am flight. Andres was early and arrived at 5:07 am for a 5:15am pick up. He had a nice comfortable truck with a covered bed. This made it easy to load and unload. I am about 6'4 so this was great in contrast to an earlier cab ride during the day where we all squeezed into a Nissan Sentra which is on the larger side of standard taxis. We had a wonderful conversation on the way to the airport and it was cool seeing how lively Medellin is in the early morning. Excellent tour. Andres is a true professional. He communicated well, paid attention to the details, was on time, had a comfortable clean vehicle, and knew how to gracefully navigate through a busy complicated interesting city. More importantly, as we shared experiences we gained a deep respect for him and the resiliency of the Colombian people. Andres has a fund of information about Medellin's history, politics, general culture and safety points. He patiently answered all of our questions with in depth explanations. He was easy to communicate with and altered the tour to our requests. In addition to the downtown area, we explored Comuna 13, which is a visual showcase! It was a treat to spend time with Andres and gain an appreciation of the Country of Colombia. I highly recommend Andres. Andres was fabulous- not only extremely knowledgeable about all things Medellín, he is quite a traveler himself, thus really understands how to adjust a tour to fit individual needs ... not just the packaged script so manu guides fall back on. We Had a blast spending the day together and parted as new friends! We had a great day with Andres exploring Concordia. The scenery was beautiful and we learned alot about coffee. This is a great way to get out of the city and see this beautiful country! We spent two wonderful days with Andres, as he was able to combine the Concordia Coffee Tour with the Finca Tour. We stopped first at the coffee farm, where we were led through the process from beginning to end, followed by a visit to the town of Concordia, and then we were off to the finca, which was a paradise up on the hill some distance from Concordia. Andres was responsible for the most exciting part of our Colombian trip. He is a gem! I highly recommend any tour with him. Andres is a very articulate and thoughtful tour guide. There were four of us traveling together, and he was able to meet our every need during the city tour. He was very flexible about our touring, including the Commune 13 Graffiti and Cerro el Volador. He even took us to the huge central market for a very authentic lunch. Simply said, he was a marvel. I highly recommend Andres for any tours of the Medellin area. I hired him to pick us up from the airport and take us to the hotel and he gave us great recommendations for our 3 day stay. He was very informative and helpful. The tour to the countryside and coffee plantation with Andres was fantastic. He is a knowledgeable, thoughtful, accomplished person. It was wonderful to be able to share the day with him and learn so much about Colombia and coffee while enjoying spectacular scenery. The tour was far beyond our expectations. We cannot recommend Andres enough. Andres was excellent. He was totally, and I mean TOTALLY flexible. At the last minute we asked him to take us to Comunas 13 rather than doing the general tour of Medellin that we'd originally booked. He readily agreed, made all the changes and we had a fascinating 4 hours. Andres knew a lot of the residents of Comunas 13 which made it all much more enjoyable. Andres was a fabulous guide as he took us on the scenic route, shared lots of history, guided us through the town and found a fabulous lunch spot. The view from the top of the rock was stunning - worth climbing 700 steps. An amazing tour! I went on another tour with Andres the next day, and would do so again. Wonderful experience, extensive explanations and magnificent places! Excellent experience. Andrés very willing and knowledgeable of his city. Magnificent guide! We enjoyed the tour with Andres so much that we were thrilled he could be available the next day for a coffee plantation tour. Great guy, enjoyable company, does a wonderful job. Andreas was an excellent guide. He gave us the exact type of tour we wanted and customized it to us. His English was excellent and he had a vast knowledge of the City of Medellin. We highly recommend Andreas and toursbylocals. TOUR GUIDE RESPONSE: Thanks a lot for your very nice words. It was very nice meeting you and showing you some highlights of Medellín. Andres is not only very knowledgeable about Medellin, but of all of Colombia. The tour gives you a nice overview of the city and I liked that we drove, walked, and rode the Metro and cable cars! TOUR GUIDE RESPONSE: Thanks for the nice words! I hope you do come back to Medellin someday so I can guide you to other places. TOUR GUIDE RESPONSE: Thanks for your feedback Troy. It was very nice to travel with you. Excellent guide. Very knowledgeable. Andres was flexible, taking me to the some sights I wanted to see. Glad he was there as I would have gotten hopelessly lost. The ride up the escalators was amazing. So glad to have the experience. TOUR GUIDE RESPONSE: It was a pleasure to be your guide and show you the city that I'm so proud of. Thanks for your comment. 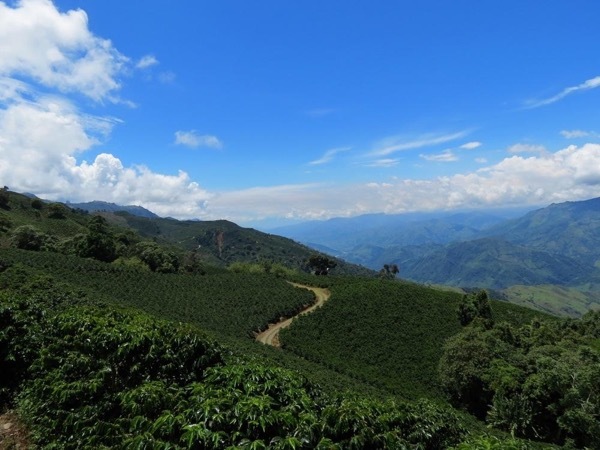 This is a great tour to a working coffee farm without the long road trip. Andres and his wife speak perfect English and are charming. This tour was really excellent - a perfect introduction to Medellin by a master guide who loves his city. In the 4 hrs of driving walking and metro, you get a feeling for the city and are almost sated....but theres so much to see in the recommendation that Andres gives as well. He answered all our questions and more...it was a really worthwhile tour. Great trip. Guatape itself was amazing, not to be missed. Scenery on drive there was lovely. Boat ride was scenic. Climb to the top of el Penol was fabulous. Andres is a great guide. Highly recommended. Spectacular scenery and countryside. Andres had an excellent knowledge of the topic. He was very considerate of his clients needs. He had excellent rapport with the locals. It was a wonderful tour. This was an amazing tour with some absolutely stunning and breathtaking views. Andres was very friendly and knew the best places to stop and enjoy the scenery. We really enjoyed the day, a must-do when you are in Medellin for a few days. TOUR GUIDE RESPONSE: Thanks a lot for your feedback. I also had a very nice time with the two of you. We did the tour as start of a week in Medellin. Our guide Andres was very friendly and knowledgeable and knew the best places to see. He also gave us some tips what to see on other days in the city, including some restaurants and cafes in the area of our hotel, which were definitely worth a visit. We surely can recommend the tour with him. Andrés was very accommodating and we all got a good snapshot of the city of Medellin! He is an excellent driver and felt very safe at all times with him on the wheel. The next day we went to the Concordia coffee plantation tour which I would highly recommend. Excellent tour. Great experience. Gracias Andres ans we wish you and your lovely wife continuos success. Martina and familia. TOUR GUIDE RESPONSE: Thanks for your feedback. I still wonder where was my service short of one more star. Even before the tour, Andres was great. My schedule was crazy and my plans kept changing but throughout all the emailing back and forth, he was patient and helpful and professional. It was a great trip. The Colombian countryside is beautiful. The Piedra de Penol was a spectacular climb and view, and Guatape was a charming and colorful town. Add to this the cultural and historical insights that Andres shared with me, and all in all, a fantastic experience. Great Pan de Queso too! Thanks for everything! Outstanding tour. Andres is full of knowledge and eager to share it. We couldn't have asked for a better introduction to this fantastic city. Charming, energetic, poised, helpful, punctual, thoughtful, and eager to make the tour exactly what the customer wishes, Andres is a delightful and responsible guide, who makes Medellin memorable! Andres was fantastic. He was incredibly knowledgeable about the city and ensured we had a local experience. I felt the tour was well worth the money as it would have been impossible to visit all these locations and to learn so much about the city. I can highly recommend this tour to others visiting Medellin. Andrés is a TOUR GUIDE GENIUS. This is our 2nd experience with Tours By Locals and both (Paris and Medellín) have been outstanding. Punctual, personable, accommodating, informative, and a man of great integrity. Our Antioquia experience was entirely shaped by our essentially perfect guide, Andres. A gem. Thanks, for an unforgettable day in Medellín. A very scenic drives, and fascinating buildings and bridges. Andres has a huge amount of information to share. We really enjoyed a day outside Medellin. Fabulous to walk around the town and see Colonial architecture. My son also loved the bridges which Andres included. He tailor makes his tours to suit and does an excellent job at it. Andres, was really great. We had a terrific time with him. His knowledge of the city is unmatched and I would highly recommend him to anyone looking to explore the Medellin area including the coffee areas. He also took us to a soccer game and it was fantastic. It was easily a 5 star experience. Excellent tour. Andres is a first-rate guide, and Juan, the actual bike guide because of Andres's injury, is also first-rate. I would recommend both for their knowledge of the area and of Colombia more generally, their interest in engaging with their clients, and their evident love for the work. Very good tour. the scenery is very nice and Andres knows the area very well. You can stop as you please and he encourages exploration. Lots of little extras await such as eating tasty snacks and plenty of options to detour along the way such as the skylift in Jardin itself. Andres is very easy going and well read on the area he takes you to visit. don't miss the whole coffee experience from the coffee plant, harvest, packing and tasting...all available on this tour. We had a great tour thanks to Andres. He was very punctual and always willing to help out. And a very caring person. We would really recommend him because he knows his job very well. Andres was on time, very knew so much about the city, and was very professional. I would highly recommend him to anyone traveling to Medellin! Andres was professional, knowledagble and pleasure to be with. I would highly recommend him.